Joshua provides a 1/2 hour free consultation to any client referred through the Divorce Angels website. Joshua is a lawyer with 18 years experience and has practiced exclusively in the Family Law field for the last 10 years. Prior to that he was in the general litigation field with a focus on Family Law. He provides services in all areas of Family Law, including access, custody, support, property, adoption, child protection, custody and access (both within Ontario and cross-border). He also provides real estate services associated with a Family Law file, such as transfers of title, refinancing, purchases and sales of property. Joshua has achieved exceptional results in all levels of court in the Province of Ontario, including the Ontario Court of Appeal, Federal Court of Appeal, Ontario Superior Court of Justice, Family Court, and Ontario Court of Justice. He works with a wide variety of professionals associated with the Family Law field, such as social workers, mortgage brokers, and other financial professionals and they add to his "bag of tricks" with their specialist knowledge in those particular fields. As Family Law is now using a more collaborative approach, Joshua remains current in this evolving area. He is an accredited Level 2 Collaborative Family Law Practitioner. Joshua is a member of the Office of the Children's Lawyer Personal Rights Panel, and on the Family Responsibility Office Agents' Panel. Joshua is an active member of the Rotary Club of Pickering. Joshua is also an Administration Officer and Captain in the Canadian Forces Reserve and is the former Commanding Officer of the Pickering Army Cadet Corps. He has received his Canadian Forces Decoration for 22 years of honourable service in the Canadian Forces. Josh brings to the table a wealth of experience in all fields of Family Law. He also brings to it a multidisciplinary approach with his retainer, where if necessary, he brings in experts in the child custody and financial fields to provide support in preparing cases. Josh has practiced at all levels of courts, tribunals and arbitrations and brings multitude of tools to each family file he handles. He reviews with clients their options to resolve their matter, including Collaborative Family Law, and helps them decide the right approach. Josh can be tough when warranted, but also takes a practical view to the resolution of your matter. He tries to ensure that the battles that need to be fought are fought but overall that a resolution is reached as quickly and efficiently as possible. Josh is an experienced lawyer that really cares about his clients. 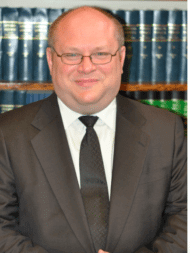 He is committed to a client focused approach to help people navigate through the "minefields" of divorce and successfully resolve all their legal matters.